The beginning of a new life is exciting; it can also be a little frightening. You will have already prayed that your baby will grow safe and well. It is now time to think about Baptism. Baptism is a time of celebration. It is something for you and your family, but it is also a special time for all the other members of the Church because the Church is to welcome new members. Baptism is a time for you to grow in faith. You may be doing this week by week as you live out and celebrate your faith, but for some we recognise that this growth may have been stunted by things out of your control or by personal times of hardship. Maybe at times people in the Church have not always lived up to the gospel of love and this has "put people off". The baptism of your child may be an opportunity to renew your Christian faith and begin again. When your child is baptised you embark with them on a life-long journey of intimacy with Jesus. There will be special times on that journey and we will walk the path with you. You may be anxious if you’ve been out of touch with church for a while, or if you or your partner is not a Catholic or if you are a single parent or if you are just not sure. We hope that you will feel welcome and part of the Catholic community in Penwortham + Longton. If you have any questions or just want to chat please make use of this time now. This tells you what to do next. · We ask that you come to Mass and either before or after Mass you can see the priest. This is because your child will be part of this praying community and we want you to be part of it too. · Arrange to see Fr. Roy to book a date for your child’s Baptism. (It is best not to make any other arrangements until you have been given a date.) The Baptism will take place at St Teresa's. · Fr. Roy will tell you about the Baptism Preparation meeting, led by our Baptism Catechists. This is just one session, for parents, usually at the start of the month of the baptism of your child. For St. Teresa’s and St. Mary Magdalen's it takes place on Sunday morning after the Mass of Welcome which is at 9:30 am Mass at St. Teresa’s. · A few weeks later you, your child, the Godparents and guests will come to the Church for the celebration of the Baptism. The usual day and time for Baptisms is Sunday at 12:30 pm. 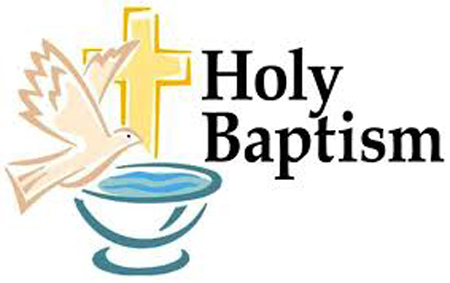 · We look forward to celebrating Baptism with you. The Baptism Preparation meeting is just one session, for parents, usually at the start of the month of the baptism of your child. For St. Oswald’s it takes place on Monday evening at 7:00 pm in the Church Meeting Room. A few weeks later you, your child, the Godparents and guests will come to the Church for the celebration of the Baptism. The usual day and time for Baptisms is Sunday at 12:30 pm. We look forward to celebrating Baptism with you.